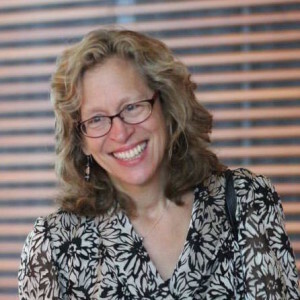 Professor Molly Jahn leads a global alliance of research organizations focused on building and testing modern knowledge systems for sustainability. At the University of Wisconsin, she has been named a Wisconsin Institutes of Discovery Fellow, and holds appointments in the Department of Agronomy, the Center for Sustainability and the Global Environment (SAGE), and the Global Health Institute. She holds adjunct appointments at the US Department of Energy’s Los Alamos National Laboratory and at Columbia University, and was the first Lillian Martin Fellow at the University of Oxford’s Martin School. 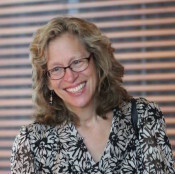 She has previously served as dean of the University of Wisconsin’s College of Agricultural and Life Sciences (CALS) and Director of the Wisconsin Agricultural Experiment Station (WAES). From 2009-10, she served as Deputy and Acting Under Secretary of Research, Education, and Economics at the U.S. Department of Agriculture. She consults globally for businesses, governments, philanthropic organizations, and international multi-lateral institutions focused on agriculture, food, water and energy security, systemic risks originating in food system failures, life sciences and environment. Dr. Jahn is not currently accepting graduate students. Jahn, M.M., G.F. Treverton, D.A. Bray, B. Jayamaha, B. Valdez, B. Carnes, W. Hutchison, W. Mulhern. Are Declines in U.S. Federal Workforce Capabilities Putting Our Government at Risk of Failing? Senior Executives Association. 2019. Jahn, M.M., B. Jayamaha, W.S. Mulhern, D.E. Ross, M.A. Rose, G.F. Treverton. 2018. “Global Food System Stability and Risk: At the Nexus of Defense and Development.” Thomson Reuters Research Report. Janetos, A., Justice, C., Jahn, M., Obersteiner, M., Glauber, J., Mulhern, W. “The Risks of Multiple Breadbasket Failures in the 21st Century: A Science Research Agenda.” 2017. Pardee Center Research Report, The Frederick S. Pardee Center for the Study of the Longer-Range Future, Boston University. “Food System Shock: The Insurance Impacts of Acute Disruption to the Global Food Supply.” 2015. Emerging Risk Report, Lloyd’s of London. (Prepared for Lloyd’s by a research team led by Aled Jones and Molly Jahn). “Extreme weather and resilience of the global food system.” 2015. Final Project Report from the UK-US Taskforce on Extreme Weather and Global Food System Resilience. The Global Food Security Programme. (M. Jahn, one of the lead authors). Venkatesh, J., J. An, W.-H. Kang, M.M. Jahn, B.-C. Kang. 2018. Fine mapping of the dominant potyvirus resistance gene, Pvr7 reveals a relationship with Pvr 4 in Capsicum annuum. Phytopathology 108(1):142-148. Perez, K., J.S. Froikin-Gordon, I.K. Adbourhamane, V. Levasseur, A.A. Alfari, M. Armel, O. Bonsu, B. Habsatou, F. Assogba-Komlan, A.A. Mbaye, M. Noussourou, L.C. Otoidobiga, L. Ouedraogo, T. Kon, M. Rojas, K.T. Gamby, R.L. Gilbertson, F. Shotkoski, and M. M. Jahn. 2017. Connecting smallholder vegetable producers to improved seed in West Africa. Agriculture and Food Security 6:42-56. Lal, R., R.H. Mohtar, A.T. Assi, R. Ray, H. Baybil and M.M. Jahn. 2017. Soils at the center of the food-energy-water nexus. Curr Sustainable/Renewable Energy Repts 4(3):117-129. Holdsworth, W.L., K.E. LaPlant, D.C. Bell, M.M. Jahn and M. Mazourek. 2016. Cultivar-based introgression mapping reveals wild species-derived Pm-0, the major powdery mildew resistance locus in squash. Accepted PLoS ONE. LaPlant, K.E., L.E. Wyatt, G. Moriarty, M. Fink-Brodnick, M.M. Jahn and M. Mazourek. 2016. Powdery Mildew Resistant Pumpkin Inbred Lines. HortScience 51(10):1297-1300. DOI: 10.21273/HORTSCI10866-16. Rakotondrafara, A.M., E. Arcibal, K.M. Gold, S. Flaherty, J. Jiang, M. M. Jahn. 2016. A mutant eIF4E confers differential resistance to Potato virus Y strains and is inherited in a dominant manner in the potato varieties Atlantic and Russet Norkotah. American Journal of Potato Research. DOI 10.1007/s12230-015-9489-x. Moffor, R.O., J. Nelson, M. Jahn and J. Nelson. 2015. Findings from the Caring International Research Collaborative: Using Caring Science To Assess and Support Food Sustainability Systems for Women Living with HIV/AIDS in a Village in Cameroon. Interdisciplinary J. of Partnership Studies. http://pubs.lib.umn.edu/ijps/vol1/iss1/9. Liu, W.Y., J.H. Kang, H.S. Jeong, H.J. Choi, H.B. Yang, K.T. Kim, D. Choi, G.J. Choi, M.M. Jahn, B.C. Kang. 2014. Combined use of bulked segregant analysis and microarrays reveals SNP markers pinpointing a major QTL for resistance to Phytophthora capsici in pepper. Theor. Appl. Genet. 27:2503-2513. Park, S.W., J.K. Jung, E.A. Choi, J.K. Kwon, J.H. Kang, M.M. Jahn and B.C. Kang. 2014. An EST-based linkage map reveals chromosomal translocation in Capsicum. Molecular Breeding. 34: 963-975. Neufeldt, H., M.M. Jahn (co-first authors), B.M. Campbell, J.R. Beddington, F. DeClerck, J. Gulledge, J. Hellin, M. Herrero, A. Jarvis, D. LeZaks, H. Meinke, T. Rosenstock, M. Scholes, R. Scholes, S. Vermeulen, E. Wollenberg and R. Zougmore. systems. Agriculture & Food Security. 2:12-18. Lee, J.M., I. Yeam and M.M. Jahn. 2013. Allelic relationships at the pvr1 locus in Capsicum. Euphytica. 11: 943-951. Wyatt, L.E., A.R. Dunn, M. Falise, S. Reiners, M.M. Jahn, C.D. Smart and M. Mazourek. 2013. Red harvest yield and fruit characteristics of Phytophthora capsici-resistant bell pepper inbred lines in New York . HortTechnology 23:356-363. R. Beddington, M. Asaduzzaman, M. E. Clark, A. Fernandez Bremauntz, M. D. Guillou, M. M. Jahn, E. Lin, T. Mamo, C. Negra, C. A. Nobre, R. J. Scholes, R. Sharma, N. Van Bo, J. Wakhungu. 2012. The role for scientists in tackling food insecurity and climate change. Agriculture & Food Security, 1:10. Perez, K., I. Yeam, B.C. Kang, D.R. Ripoll, J. Kim, J.F. Murphy, M.M. Jahn. 2012. Tobacco etch virus infectivity in Capsicum spp. is determined by a maximum of three amino acids in the viral virulence determinant VPg. Molecular Plant-Microbe Interactions 25:1562-1573. Beddington J. R, M. Asaduzzaman, M. E. Clark, A. Fernandez Bremauntz, M. D. Guillou, D. J. B. Howlett, M. M. Jahn, E. Lin, T. Mamo, C. Negra, C. A. Nobre, R. J. Scholes, N. Van Bo, J. Wakhungu. 2012. What Next for Agriculture After Durban? Science 335:6066, 289–290. Cavatorta, J., G. Moriarty, M. Glos, M. Henning, M. Kreitinger, M. Mazourek, H. Munger, M. M.. Jahn. 2012. “Salt and Pepper”: A disease-resistant cucumber inbred. HortScience 47, 427–428. Cavatorta, J., K.W. Perez, S.M. Gray, J. Van Eck, I. Yeam and M.M. Jahn. 2011. Engineering resistance to plant viral disease using a modified potato gene. Plant Biotechnology Journal 9(9):1014-1021. doi: 10.1111/j.1467-7652.2011.00622.x. Epub 2011 Jun 12. Miller, J.K., E.M. Herman, M.M. Jahn and K.J. Bradford. 2010. Strategic research, education and policy goals for seed science and crop improvement. Plant Science 179:645-652. Stellari, G.M., M. Mazourek and M. M. Jahn. 2010. Contrasting modes for loss of pungency between cultivated and wild species of Capsicum. Heredity 104:460-471. Mazourek, M., A. Pujar, Y. Borovsky, I. Paran, L. Mueller and M. M. Jahn. 2009. A dynamic interface for capsaicinoid systems biology. Plant Physiology 150:1806-1821. Mazourek, M., E.T. Cirulli, S. M. Collier, L. G. Landry, B-C. Kang, E. A. Quirin, J. M. Bradeen, P. Moffett and M. M. Jahn. 2009. The fractionated orthology of Bs2 and Rx/Gpa2 supports shared synteny of disease resistance in the Solanaceae. Genetics 182:1351-1364. Mazourek, M., G. Moriarty, M. Glos, M. Fink, M. Kreitinger, E. Henderson, G. Palmer, A. Chikering, D. Rumore, D. Kean, J. Myers, J. Murphy, C. Kramer and M.M. Jahn. 2009. Peacework: a cucumber mosaic virus-resistant early red bell pepper for organic systems. HortScience 44:1464-1467. Wu, F., N.T. Eannetta, Y. Xu, R. Durrett, M. Mazourek, M.M. Jahn and S.D. Tanksley. 2009. A COSII genetic map of the pepper genome provides a detailed picture of synteny with tomato and new insights into recent chromosome evolution in the Genus Capsicum. Theor. Appl. Genet. 118: 1279–1293. Yang, H.B., W.Y. Liu, W.H. Kang, M.M. Jahn, B.C. Kang. 2009. Development of SNP markers linked to the L locus in Capsicum spp. by a comparative genetic analysis. Molecular Breeding 24:433-446. Zhuang, Y., J.-F. Chen and M.M. Jahn. 2009. Expression and sequence variation of the cucumber Por gene in the synthesized allotetraploid Cucumis x hytivus. Mol. Biol. Rep.
Cavatorta, J.R., A.E. Savage, I. Yeam, S.M. Gray and M.M. Jahn. 2008. Positive Darwinian selection at single amino acid sites conferring plant virus resistance. Journal of Molecular Evolution. 67:551-559. Yeam, I., J.R. Cavatorta, D.R. Ripoll, B.C. Kang and M.M. Jahn. 2007. Functional Dissection of Naturally Occurring Amino Acid Substitutions in eIF4E That Confers Recessive Potyvirus Resistance in Plants. Plant Cell 19(9):2913-2928. Cavatorta, J., G. Moriarty, M. Henning, M. Glos, M. Kreitinger, H.M. Munger and M.M. Jahn. 2007. Marketmore 97: A monoecious slicing cucumber inbred with multiple disease and insect resistances. HortScience 42:707-709. Garces-Claver, A., S. Moore Fellman, R. Gil-Ortenga, M.M. Jahn, M. Arnedo-Andres. 2007. Identification, validation and survey of a single nucleotide polymorphism (SNP) associated with pungency in Capsicum spp. Theor. Appl. Genet. 115:907-916. Kang B.C., I. Yeam, H. Li, K.W. Perez, and M.M. Jahn. 2007. Ectopic expression of a recessive resistance gene generates dominant potyvirus resistance in plants. Plant Biotech. J. 5:526-36. Porch T.G., R. Bernsten, J.C. Rosas, M.M. Jahn. 2007. Climate change and the potential economic benefits of heat tolerant bean varieties for farmers in Atlántida, Honduras. Journal of Agriculture of the University of Puerto Rico 91(3-4):133-148. Stewart C., M. Mazourek, G. Stellari, M. O’Connell and M.M. Jahn. 2007. Genetic control of pungency in C. chinense via the Pun1 locus. J. Exp. Bot. 58(5):979-991. Ben Chaim, A., Y. Borovsky, M. Falise, M. Mazourek, B.C. Kang, I. Paran, I. and M.M. Jahn. 2006. QTL analysis for capsaicinoid content in Capsicum. Theor. Appl. Genet. 113:1481-1490. Brown, C.R., T.S. Kim, Z. Ganga, K. Haynes, D. DeJong, M.M. Jahn, I. Paran and W.P. DeJong. 2006. Segregation of total carotenoid in high level potato germplasm and its relationship to beta-carotene hydroxylase polymorphism. Am. J. Pot. Res. 83:365-372. Cadle-Davidson, M.M. and M.M. Jahn. 2006. Differential gene expression in Phaseolus vulgaris I locus NILs challenged with Bean common mosaic virus. Theor. Appl. Genet. 112:1452-1457. Cadle-Davidson, M.M. and M.M. Jahn. 2006. Patterns of accumulation of Bean common mosaic virus in Phaseolus vulgaris genotypes nearly isogenic for the I locus. Ann. of Appl Biol. 148:179-185. Chen, J. F., G. Ren, X.D. Luo, J. Staub and M.M. Jahn. 2006. Inheritance of aspartate aminotransferase (AAT) in Cucumis species as revealed by interspecific hybridization. Can. J. Bot. 84:1503-1507. Liu, K., H. Jiang, S.L. Moore, C.B. Watkins and M.M. Jahn. 2006. Isolation and characterization of a lipid transfer protein expressed in ripening fruit of Capsicum chinense. Planta 223:672-683. Lou, Q.F., J.F. Chen, L.Z. Chen, J.N. Wolokau, B.C. Kang and M.M. Jahn. 2006. Identification of an AFLP marker linked to a locus controlling gynoecy in cucumber and its conversion to a SCAR marker useful in plant breeding. L. Acta Horticulturae Sinica 31(2):256-261. Luo, X.D., L.F. Dai, S.B. Wang, J.N. Wolukau, M.M. Jahn, and J.F. Chen. 2006. Male gamete development and early tapetal degeneration in cytoplasmic male-sterile pepper investigated by meiotic, anatomical and ultrastructural analyses. Plant Breeding 125:395-399. Perez, K., I. Yeam, M.M. Jahn and B.C. Kang. 2006. Megaprimer-mediated domain swapping for construction of chimeric viruses. J. Virol. Methods 135:254-262. Cadle-Davidson, M.M. and M.M. Jahn. 2005. Resistance conferred against bean common mosaic virus by the incompletely dominant I locus of Phaseolus vulgaris is active at the single cell level. Arch. of Virol. 150:2601-2608. Henning, M.J., H.M. Munger and M.M. Jahn. 2005. ‘Hannah’s Choice F1’: A new muskmelon hybrid with resistance to powdery mildew, Fusarium race 2 and potyviruses. HortScience 40:492-493. Henning, M.J, H.M. Munger and M.M. Jahn. 2005. ‘PMR Delicious 51’: An improved open-pollinated melon with resistance to powdery mildew. HortScience 40:261-262. Kang, B.-C., I. Yeam, J.D. Frantz, J.F. Murphy and M.M. Jahn. 2005. The pvr1 locus in pepper encodes a translation initiation factor eIF4E that interacts with Tobacco etch virus VPg. Plant J. 42:392-405. Kang, B.-C., I. Yeam and M.M. Jahn. 2005. Genetics of resistance to plant viruses. Ann. Rev. Phytopathology 42:581-621. Liu, K., B.C. Kang, H. Jiang, S.L. Moore, C.B. Watkins, T.L. Setter and M.M. Jahn. 2005. A GH3-like gene isolated from Capsicum chinense L. pepper fruit is regulated by auxin and ethylene. Plant Molecular Biology 58(4):447-464. Qian, C.T., M.M. Jahn, J.E. Staub, X.-D. Luo and J.F. Chen. 2005. Meiotic chromosome behavior in an allotriploid derived from an amphidiploid x diploid mating in Cucumis. Plant Breeding 124:272-276. Stewart, C.S., B.C. Kang, K. Liu, M. Mazourek, E.Y. Yoo, S.L. Moore, B.D. Kim, I. Paran and M.M. Jahn. 2005. The Pun1 gene in pepper encodes a putative acyltransferase. Plant J. 42:675-688. Yeam, I., B.C. Kang, J.D. Frantz and M.M. Jahn. 2005. Allele-specific CAPS markers based on point mutations in resistance alleles at the pvr1 locus encoding eIF4E in Capsicum. Theor. Appl. Genet. 112:178-186. Quirin, E.A., E. Ogundiwin, J.P. Prince, M. Mazourek, M.O. Briggs, T.S. Chlanda, K.-T. Kim, M. Falise, B.C. Kang and M. M. Jahn. 2005. Development of sequence characterized amplified region (SCAR) primers for the detection of Phyto.5.2, a major QTL for resistance to Phytophthora capsici Leon in pepper. Theor. Appl. Genet. 110:605-612. Paran, I., J. Rouppe van der Voort, V. Lefebvre, M.M. Jahn, L. Landry, R. van Wijk, H. Verbakel, B. Tanyolac, C. Caranta, A. Ben Chaim, K.D. Livingstone, A. Palloix and J. Peleman. 2004. An integrated genetic map of pepper. Molecular Breeding 13:251-261. Alba, R., Z. Fei, P. Payton, Y. Liu, S.L. Moore, P. Debbie, J.S. Gordon, J.K.C. Rose, G. Martin, S.D. Tanksley, M. Bouzayen, M.M. Jahn and J. Giovannoni. 2004. ESTs, cDNA microarrays and gene expression profiling: tools for dissecting plant physiology and development. Plant J. 39:697-714. Chen, J., X. Luo, C. Qian, M.M. Jahn, J.E. Staub, F. Zhuang, Q. Lou and G. Ren. 2004. Cucumis monosomic alien addition lines: morphological, cytological and RAPD analysis. Theor. Appl. Genet. 108:1343-1348. Frantz, J.D., J. Gardner, M.P. Hoffmann and M.M. Jahn. 2004. Greenhouse screening of Capsicum accessions for resistance to green peach aphid (Myzus persicae). HortScience 39:1332-1335. Frantz, J.D., J. Gardner, M.P. Hoffmann and M.M. Jahn. 2004. Greenhouse screening of Capsicum accessions for resistance to European corn borer (Ostrinia nubilalis). HortScience 39:1336-1338. Frantz, J.D and M.M. Jahn. 2004. Five independent loci each control monogenic resistance to gummy stem blight in melon (Cucumis melo L.). Theor. Appl. Genet. 108:1033-1038. Naylor, R.L., W.P. Falcon, R.M. Goodman, M.M. Jahn, T. Sengooba, H. Tefera and R.J. Nelson. 2004. Biotechnology in the developing world: a case for increased investments in orphan crops. Food Policy 29:15-44. Griffiths, P.D., M.M. Jahn and M.H. Dickson. 2004. Cornell 501: A white mold resistant snap bean breeding line. HortScience 39:1507-1508. Nelson, R.J., R. Naylor and M.M. Jahn. 2004. The Role of Genomics Research in Improvement of “Orphan” Crops. Crop Science 44:1901-1904. Porch, T.G., M.H. Dickson, M.C. Long, D.R. Viands and M.M. Jahn. 2004. General combining ability effects for reproductive heat tolerance in snap bean. J. Agric. Univ. Puerto Rico 88(3-4):161-164. Rose, J.K.C., S. Bashir, J.J. Giovannoni, M.M. Jahn and R.S. Saravanan. 2004. Tackling the plant proteome: practical approaches, hurdles and experimental tools. Plant J 39:715-733. Blum, E., M. Mazourek, M.A. O’Connell, J. Curry, T. Thorup, K. Liu, M.M. Jahn and I. Paran. 2003. Molecular mapping of capsaicinoid biosynthesis genes and QTL analysis for capsaicinoid content in Capsicum. Theor. Appl. Genet. 108:79-86. Aluru, M.R., M. Mazourek, L.G. Landry, J. Curry, M.M. Jahn, and M.A. O’Connell. 2003. Differential expression of fatty acid synthase genes, Acl, Fat and Kas, in Capsicum fruit. J. Exp. Bot 54:1655-1664. Lotfi, M., A.R. Alan, M.J. Henning, M.M. Jahn and E.D. Earle. 2003. Production of haploid and doubled haploid plants of melon (Cucumis melo L) for use in breeding for multiple virus resistance. Plant Cell Rept. 21:1121-1128. Chen, J.-F., X.D. Luo, J.E. Staub, M.M. Jahn, C.-T. Qian, F.-Y. Zhuang and G. Ren. 2003. An allotriploid derived from a amphidiploid x diploid mating in Cucumis. Euphytica 131:235-241. Brown, R.N., A. Bolanos, J. Myers and M.M. Jahn. 2003. Inheritance of resistance to four cucurbit viruses in Cucurbita moschata. Euphytica 129:253-258. Blum, E., K. Liu, M. Mazourek, E-Y. Yoo, M.M. Jahn and I. Paran. 2002. Molecular mapping of the C locus for presence of pungency in Capsicum. Genome 45:702-705. Welsh, R., B. Hubbell, D.E. Erwin and M.M. Jahn. 2002. GM crops and the pesticide paradigm. Nature Biotechnology 20:548. Celebi-Toprak, FR., S.A. Slack and M.M. Jahn. 2002. A new gene, Ny tbr, for hypersensitivity to Potato virus Y from Solanum tuberosum Maps to Chromosome IV. Theor Appl Genet 104:669-674. Porch, T.G. and M.M. Jahn. 2001. Effects of high temperature stress on microsporogenesis in heat-sensitive and heat-tolerant genotypes of Phaseolus vulgaris. Plant Cell and Environment 24:723-731. Ben Chaim, A., I. Paran, R.C. Grube, M.M. Jahn, R. van Wijk and J. Peleman. 2001. QTL mapping of fruit-related traits in pepper (Capsicum annuum). Theor. Appl. Genet. 102:1016-1028. Ben Chaim, A., R.C. Grube, M. Lapidot, M.M. Jahn and I. Paran. 2001. Identification of quantitative trait loci associated with resistance to cucumber mosaic virus in Capsicum annuum. Perennial. Theor. Appl. Genet. 102:1213-1220. Livingstone, K.D., G. Churchill and M.M. Jahn. 2000. Linkage mapping in populations with karyotypic rearrangements. J. Hered. 91:423-428. Thorup, T.A., B. Tanyolac, K.D. Livingstone, S. Popovsky, I. Paran and M.M. Jahn. 2000. Candidate gene analysis of organ pigmentation loci in the Solanaceae. Proc. Nat. Acad. Sci. USA 97:11192-11197. Collmer, C.W., M.F. Marston and M.M. Jahn. 2000. The I Gene of Bean: A Dosage-Dependent Allele Conferring Extreme Resistance, Hypersensitive Resistance, or Spreading Vascular Necrosis in Response to the Potyvirus. Bean common mosaic virus. Molecular Plant-Microbe Interactions 13:1266-1270. Anagnostou, K., M.M. Jahn and R. Perl-Treves. 2000. Inheritance and linkage analysis of resistance to zucchini yellow mosaic virus, watermelon mosaic virus, papaya ringspot virus and powdery mildew resistance in Cucumis melo L. Euphytica 116:265-270. Grube, R.C., Y. Zhang, J.F. Murphy, F. Loaiza-Figueroa, R. Provvidenti and M.M. Jahn. 2000. A new source of resistance to Cucumber mosaic virus in Capsicum frutescens. Plant Disease 84:885-891. Grube, R.C., J.R. Blauth, M. Arnedo, C. Caranta and M.M. Jahn. 2000. Identification and comparative mapping of a dominant potyvirus resistance gene cluster in Capsicum. Theor. Appl. Genet. 101:852-859. Jahn, M.M., I. Paran, K. Hoffmann, E.R. Radwanski, K.D. Livingstone, R.C. Grube, E. Aftergroot, M. Lapidot and J. Moyer. 2000. Genetic mapping of the Tsw locus for resistance to tomato spotted wilt tospovirus in Capsicum and its relationship to the Sw-5 allele for resistance to the same pathogen in tomato. Molecular Plant-Microbe Interactions 13:673-682. Grube, R.C., E.R. Radwanski and M.M. Jahn. 2000. Comparative genetics of disease resistance within the Solanaceae. Genetics 155:873-887. Zuniga, T., J.P. Jantz, T.A. Zitter and M.M. Jahn. 1999. Monogenic dominant resistance to gummy stem blight in two melon (Cucumis melo L.) accessions. Plant Disease 83:1105-1107. Livingstone, K.D., V. Lackney, J.R. Blauth, R. Van Wijk and M.M. Jahn. 1999. Genome mapping in Capsicum and the evolution of genome structure in the Solanaceae. Genetics 152:1183-1202. Silberstein, L., I. Kovalski, R. Huang, K. Anagnostou, M.M. Jahn and R. Perl-Treves. 1999. Molecular variation in melon (Cucumis melo L.) as revealed by RFLP and RAPD markers. Scientia Horticulturae 79:101-111. Murphy, J.F., J.R. Blauth, K.D. Livingstone, V.K. Lackney and M.M. Jahn. 1998. Genetic Mapping of the pvr1 Locus in Capsicum spp. and Evidence That Distinct Potyvirus Resistance Loci Control Responses That Differ at the Whole Plant and Cellular Levels. Molecular Plant Microbe Interactions 11:943-951. Kyle, M.M. and A. Palloix. 1997. Proposed revision of nomenclature for potyvirus resistance genes in Capsicum. Euphytica 97:183-188. Prince, J.P., Y. Zhang, E.R. Radwanski and M.M. Kyle. 1997. A high-yielding and versatile DNA extraction protocol for Capsicum. HortScience 32:937-939. Zhang, Y., M.M. Kyle, K. Anagnostou and T.A. Zitter. 1997. Screening Melon (Cucumis melo) for Resistance to Gummy Stem Blight in the Greenhouse and Field. HortScience 32:117-121. Collmer, C.W., M.F. Marston, S.M. Albert, S. Bajaj, H.A. Maville, S.E. Ruuska, E.J. Vesely and M.M. Kyle. 1996. The nucleotide sequence of the coat protein gene and 3′ untranslated region of azuki mosaic potyvirus, a member of the bean common mosaic subgroup. Mol. Plant-Microbe Int. 9:758-761. Valkonen, J.P.T., M.M. Kyle and S. Slack. 1996. Comparison of resistance to potyviruses within Solanaceae: infection of potatoes with tobacco etch potyvirus and peppers with potato A and Y potyviruses. Ann. Appl. Biol. 129:25-38. Hoffmann, M.P., R.W. Robinson, M.M. Kyle and J.J. Kirkwyland. 1996. Defoliation and infestation of Cucurbita pepo genotypes by diabroticite beetles. HortScience 31:439-442. Fisher, M.L. and M.M. Kyle. 1996. Inheritance of resistance to potyviruses in Phaseolus vulgaris L. IV. Inheritance, linkage relations, and environmental effects of systemic resistance to four potyviruses. Theor. Appl. Genet. 92:204-208. Munger, H.M., Y. Zhang, S.L. Fenton and M.M. Kyle. 1995. Leaf blower adapted for large scale inoculation of plants with mechanically-transmitted viruses. HortScience 30:1266-1267. Murphy, J.F. and M.M. Kyle. 1995. Alleviation of restricted systemic spread of pepper mottle potyvirus in Capsicum annuum cv. ‘Avelar’ by coinfection with a cucumovirus. Phytopathology 85:561-566. Prince, J.P., V.K. Lackney, C. Angeles, J.R. Blauth and M.M. Kyle. 1995. A survey of DNA polymorphism within the genus Capsicum and the fingerprinting of of pepper cultivars. Genome 38:224-231. Fisher, M.L. and M.M. Kyle. 1994. Inheritance of resistance to potyviruses in Phaseolus vulgaris L. III. Cosegregation of phenotypically similar dominant resistance to nine potyviruses. Theor. Appl. Genet. 89:818-823. Murphy, J.F. and M.M. Kyle. 1994. Isolation and viral infection of Capsicum leaf protoplasts. Plant Cell Rept. 13:397-400. Gilbert, R.Z., M.M. Kyle, H.M. Munger and S.M. Gray. 1994. Inheritance of resistance to watermelon mosaic virus in Cucumis melo. HortScience 29:107-110. Kyle, M.M. and R. Provvidenti. 1993. Inheritance of resistance to potyviruses in Phaseolus vulgaris L. II. Linkage relations and utility of a dominant gene for lethal systemic necrosis to soybean mosaic virus. Theor. Appl. Genet. 86:189-196. Valyasevi, R., M.M. Kyle, P. Christie and K. Steinkrauss. 1990. Plasmids of Bacillus popilliae. J. Invertebrate Pathol. 56:286-288. Kyle, M.M. and M.H. Dickson. 1988. Linkage of Hypersensitivity to Five Viruses with the B Locus in Phaseolus vulgaris L. J. Hered. 79:308-311. Kyle, M.M. and R. Provvidenti. 1987. Inheritance of resistance to potato y viruses in Phaseolus vulgaris L. Theor. Appl. Genet. 74:595-600. Miller, M.D. and F. Solomon. 1984. Kinetics and intermediates of marginal band reformation: Evidence for peripheral determinants of microtubule organization. J. Cell Biol. 99:70-75s. Paustian, K, S.M. Collier, J. Baldock, R. Burgess, J. Creque, M. DeLonge, J. Dungait, B. Ellert, S. Frank, T. Goddard, B. Govaerts, M. Grundy, M. Henning, C. Izuarralde, M. Madaras, B. McConkey, E. Porzig, C. Rice, R. Searle, N. Seavy, R. Skalsky, W. Mulhern and M.M. Jahn. Quantifying soil carbon measurement for agricultural solis management: A consensus view from science. Egan, A., S.M. Fellman, G.M. Stellari and M.M. Jahn. Identification and characterization of a conserved tandem gene duplication implicated in capsaicinoid biosynthesis. Submitted to Heredity. Gardeazabal, A, T. Lunt, M.M. Jahn, N. Verhulst, J. Hellin and B. Govaerts. Knowledge management for innovation in agrifood and health systems: a conceptual framework. Submitted to PLOS-ONE. Popp, J., Jahn, M.M., Matlock, M. and N.P. Kemper, eds. 2012. The Role of Biotechnology in a Sustainable Food Supply. Cambridge University Press, New York, NY. Kyle, M.M., ed. 1993. Resistance to Viral Diseases of Vegetables: Genetics and Breeding Timber Press, Portland OR. Hartemink, A., A. Raster and M.M. Jahn. 2012. The evaluation and reporting of soils in sustainable agriculture and food systems. Issues in Environmental Science and Technology No. 35 Soils and Food Security (R.E. Hester and R.M. Harrison, eds.). Published by the Royal Society of Chemistry www.rsc.org. Paran, I., A. Ben Chaim and M.M. Jahn. 2005. Capsicum: Evolution, Domestication, Genetics and Genomics. In: Vegetable Crops Series. Jahn, M.M., H.M. Munger and J.M. McCreight. 2002. Breeding cucurbit crops for powdery mildew resistance. In: Powdery Mildews: A compendium. APS Press. Tanksley, S.D., J.P. Prince and M.M. Kyle. 1993. Linkage map of pepper (Capsicum annuum) (2N = 24). In: Genetic Maps, Sixth Edition. O’Brian, ed. Cold Spring Harbor Laboratory Press. Kyle, M.M. and R. Provvidenti. 1993. Genetics of broad spectrum viral resistance in bean and pea. pp. 153-166. In: Resistance to Viral Diseases of Vegetables: Genetics and Breeding. M.M. Kyle, ed. Timber Press, Portland OR. McCouch, S.M., P. Ronald and M.M. Kyle. 1993. Biotechnology and Crop Improvement for Sustainable Agricultural Systems. pp. 157-191. In: Crop Improvement for Sustainable Agricultural Systems. M.B. Callaway and F. Forella, eds. University of Nebraska Press. Superak, T.H., B.T. Scully, M.M. Kyle and H.M. Munger. 1993. Interspecific Transfer of Viral Resistance. pp. 217-236. In: Resistance to Viral Diseases of Vegetables: Genetics and Breeding. M.M. Kyle, ed. Timber Press, Portland OR. Munger, H.M., M.M. Kyle and R.W. Robinson. 1992. Cucurbits. pp.42-56. In: Historical Review of Traditional Crop Breeding Practices. Group of National Experts on Safety in Biotechnology Working Group. Directorate for Science Technology and Industry/Committee for Scientific and Technological Policy. Paris: Organization for Economic Cooperation and Development. DSTI/STP/BS (92)5/REV1. Beddington J, Asaduzzaman M, Clark M, Fernández A, Guillou M, Jahn M, Erda L, Mamo T, Van Bo N, Nobre CA, Scholes R, Sharma R, Wakhungu J. 2012. Achieving food security in the face of climate change: Final report from the Commission on Sustainable Agriculture and Climate Change. CGIAR Research Program on Climate Change, Agriculture and Food Security (CCAFS). Copenhagen, Denmark.